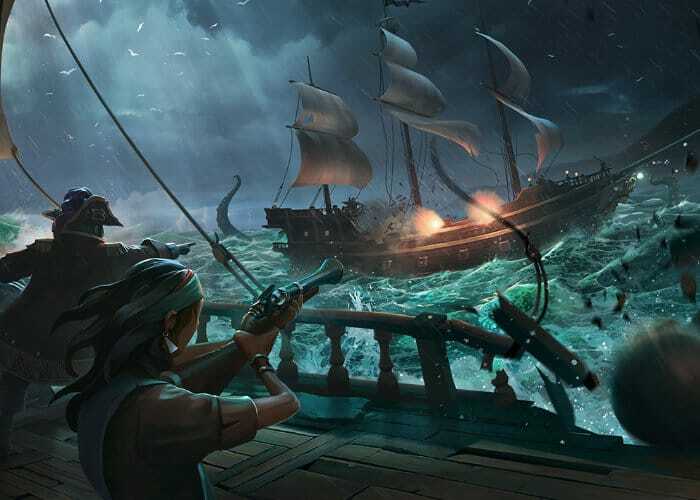 Next month a new Sea of Thieves Shrouded Spoils update will be rolling out to the popular cross-platform game which is available on both Microsoft Windows 10 and Xbox systems. The highly anticipated Shrouded Spoils update will bring with it, ship customisation, fog, Pirate Legend commendations, and more. Check out the developer video blog below to learn more about what you can expect from the new content that will roll out on November 10th, 2018. “Ready to hear more about our next content update coming in November? True to form, Sea of Thieves Executive Producer Joe is here to leak the first details. Also on the agenda: Festival of the Damned, TwitchCon and X018! “ Shrouded Spoils will be launched at the X018 event in Mexico City, when Rare will detail the updates coming after Shrouded Spoils, which are apparently going to drastically change the game. – Live the essential pirate life in a world rich with Rare’s irreverent charm. Sail and fight together, hunt treasure and create your own legends!